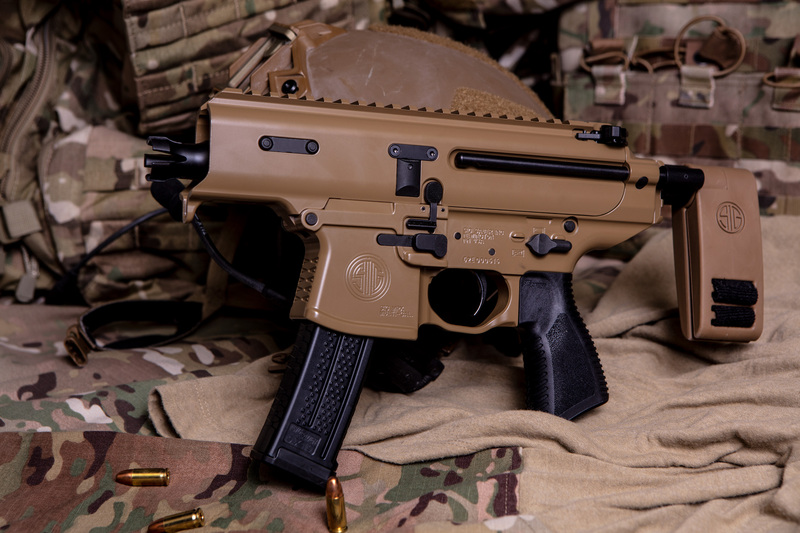 SIG Sauer Announced their newest addition to the family, in the form of their new ultra-compact MPX Copperhead 9mm braced pistol. I'm not usually one to get excited about an $1,800 (or under $1,600 as it says in the video?) gun, but this one looks pretty sweet. With a barrel length of only 3.5 inches and an overall length of just 14.5 inches, this gas piston-driven beauty looks like the perfect suitcase, backpack, or truck gun. While my carry pistol has a barrel length of about the same dimensions, the MPX Copperhead comes with the added stability of the pistol brace (if you know how to deploy it properly) and a 20 round magazine for a few extra rounds of firepower. This is clearly outside the budget of a normal, average income family. You'd still need to add sights or an optic, increasing the overall cost. It only comes with one 20-round mag, and I don't know anyone who stops at owning just one magazine. Thus, raising costs again. Still, this small package has me enthralled with its usability for certain folks needing a quick, deployable, accurate, pistol that can be braced on your cheek (or shoulder depending on the BATFE's flavor of the week) for added stability.